Melton Hockey Club’s Ladies XI took a giant step towards becoming champions with a convincing win at their chief title rivals on Saturday. They started the day just a point clear of Ashby Third XI at the top of Leicestershire Ladies’ League Division One, knowing hey could be knocked off the summit for the first time this season. But they returned with a 4-1 win under their belts to extend their lead to four points over Ashby who are now the only team able to catch Melton with just three matches of the season remaining. Melton will bid to complete their season with an unbeaten record, starting with a home match against Leicester University Second XI on Saturday at Burton Road (10.30am). They then travel to Roundhill the following weekend before ending their programme at home to Market Harborough Third XI on Saturday, March 25. * With the men’s First XI out of action, spotlight turned to the Second and Third XIs and both were involved in high-scoring defeats. The Second XI are still without a point to their name in the East Midlands Premier after succumbing to an 8-4 loss at fourth-placed Lichfield and are now 13 points adrift of second-bottom Chesterfield. 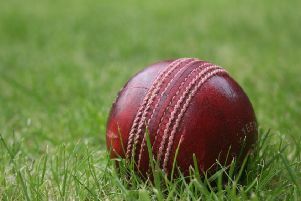 Melton Third XI’s mini revival came to an abrupt halt as their three-match winning run was ended with a 5-1 defeat at Khalsa. They sit 10th in East Midlands Premier and host Nottingham Players on Saturday (2pm start). The First XI return on Saturday with a trip to Berkswell and Balsall Common as they look for a strong run-in to the season.